Jennifer C. Borden, founder of Borden Consulting Group, LLC, has specialized in all facets of unclaimed property law, including audit defense, litigation, compliance and consulting for more than twenty years. Her practice has expanded to regulatory compliance for the securities and insurance industries, due to the often conflicting demands of regulators and auditors. 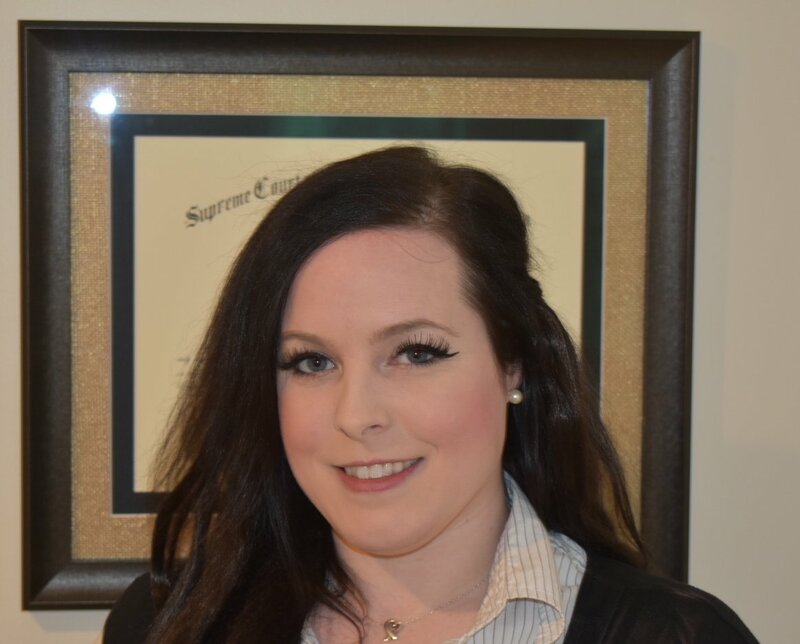 She regularly develops strategies to communicate with lost owners, defends multi-state audits and advises clients on all elements of the complex area of escheat law. Jennifer worked with the Uniform Law Commission in drafting its Revised Uniform Unclaimed Property Act, which was adopted in 2016. She also represented the Securities Transfer Association (STA) and Shareholder Services Association (SSA) in an amicus filing to the Supreme Court of the United States in Taylor v. Yee. In a concurring opinion, the Justices recognized the due process concerns raised in her amicus curiae brief, which will hopefully lead to enhanced protection for owners. Jennifer was previously a Partner at Holland & Knight LLP, where she litigated unclaimed property issues in Massachusetts, Delaware, and Georgia; counseled companies on multi-state escheat compliance; defended state abandoned property audits; and implemented strategic restructurings. Prior to joining Holland & Knight, Jennifer was a leader in the State and Local Tax Practice for Ernst & Young, providing Unclaimed Funds services to Fortune 1000 companies throughout the country. With the Unclaimed Funds Practice, Jennifer assisted her clients in mitigating millions of dollars in escheat liability and, as the leader of the New England Incentives Practice, she secured millions of dollars in state tax credits, property tax abatements, sales tax exemptions, training grants and wage subsidies for her clients. Jennifer served for four years as General Counsel for the Abandoned Property Fund of the Commonwealth of Massachusetts, Office of the Treasurer. In this capacity, she resolved disputes arising out of abandoned property audits, negotiated settlements with major corporations as well as state agencies, defended all actions against the Abandoned Property Division and annually approved several million dollars in returns of unclaimed funds to taxpayers. Her knowledge of audit practices and administrative policies enables her to provide clients with unique insight into process and exposure. Before representing the Unclaimed Property Division, Jennifer was counsel to the Commonwealth’s largest public pension fund, where she was responsible for defending all claims against the fund before the Division of Administrative Law Appeals, Superior Court and the Massachusetts Appeals Court; insuring the fund’s compliance with state and federal law; and serving as counsel to the State Board of Retirement. She began her career in the Administrative Law Division of the Office of the Massachusetts Attorney General. Jennifer is a frequent speaker on state and local tax issues, serves on the Government Relations and Advocacy Committee of the Unclaimed Property Professionals Organization (UPPO) and is the author of the Lexis State Tax Insights series on Unclaimed Funds. She has chaired several panels on developments in unclaimed property law for Lorman Seminars and spoken before the STA, SSA, UPPO, the Compliance and Ethics Forum for Life Insurers (CEFLI), National Investment Company Service Association (NICSA), the Council on State Taxation (COST), the National Retail Federation (NRF) and other industry groups. Jennifer is a featured speaker for ReedLogic's Video Leadership Seminars, appearing in the DVD The Business Side of Growing Your Tax Practice, as well as the Unclaimed Property DVD series distributed by the Financial Management Network. She has been quoted frequently in the media, including The Wall Street Journal. Jenna Bentley is an associate attorney at BCG, bringing a background in international business law to the practice. She provides guidance to corporate holders of unclaimed property to mitigate related risks and liability in the United States and abroad. European Union Directives relating to UCITS IV and anti-money laundering rules and regulations. She also assisted with the development of enhanced customer identification procedures and regularly prepared filings for the Securities and Exchange Commission and the National Futures Association. She also worked at Nixon Peabody LLP in Boston and GE Capital Solutions in London, England. Jenna is licensed in New York and Massachusetts, having graduated from Boston University School of Law. She also holds a Master of Arts with high honors in International Law from the University of London, and received a B.A. in History and Management from Boston University.